Suffering from Neck Pain, Lower Back Pain, Shoulder Pain, Sciatica, Fibromyalgia, or Hip Pain? We specialize in Medical Massage treatments for those suffering day to day. Our treatments are medically focused and our Chiropractor, Dr. Miguel Lewis, works hand and hand with her team therapist to provide thorough and extensive medical massage treatments. Suffering? Give us a call today. A classic stress-relieving massage that utilizes gentle and continuous strokes to reduce tension, increase circulation and induce relaxation. Our recommendation as an introductory to massage therapy. A full body therapeutic massage that uses deep penetrating strokes to increase circulation, release muscle tension, break tissue adhesions, and remove toxins. Our version of the classic Sports Massage. Great for relieving stress, inflammation, and strains. Our massage that is especially designed for the Moms to be! Our therapists use safe pre-natal side lying techniques with special attention to common problem areas during pregnancy-the lower back muscles and the feet. Our therapists take much care and concern with each gentle stroke. 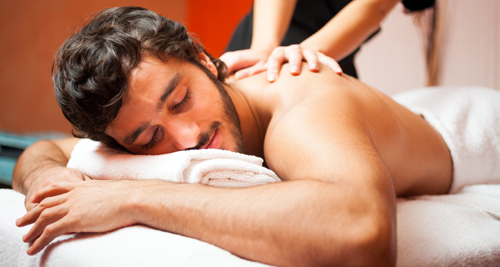 Relax and unwind with this tranquil de-stressing massage. A Trigger Point is a tight area within muscle tissue that can cause referred pain in other areas of the body. Trigger Point Therapy is designed to alleviate the source of the pain through cycles of isolated pressure and release. The result and benefit is releasing constricted areas and relieving pain in the muscle. Most experience a significant decrease in pain and stiffness after just one treatment. Neuromuscular Re-education is a general term that refers to techniques that attempt to retrain the neuromuscular system to function properly. Certain patterns of communication between muscles and nerves allow people to move and perform simple everyday tasks like climbing stairs. These normal patterns can become disrupted by injuries. Neuromuscular re-education helps to re-establish those normal patterns in injured people. Want to learn more about our services and your health insurance? Contact Massage Addict today for more information and to learn how your health insurance may cover your treatments.